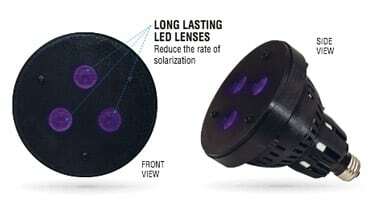 Lasts 10x longer than a mercury vapor bulb. 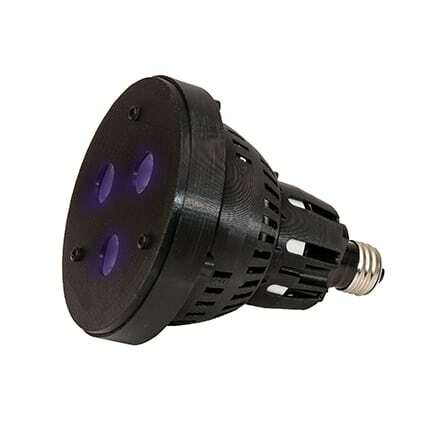 Can also be used in custom lamp fixtures that include enclosures. 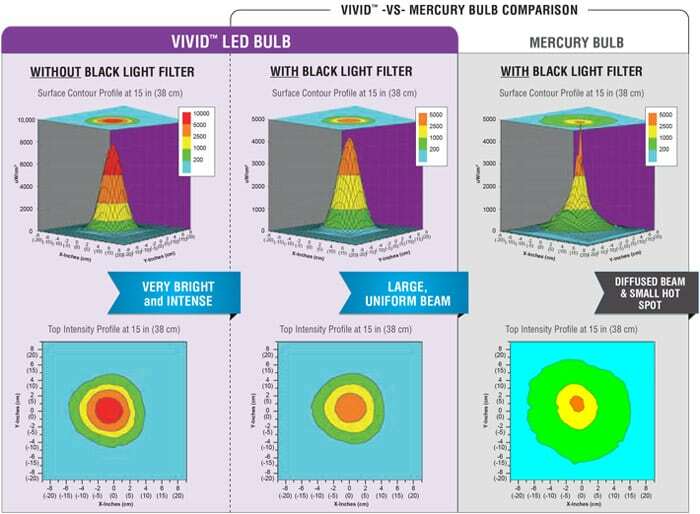 Note: the expressed warranty life of the VIVID™ bulb is only valid when used in conjunction with compatible Spectroline® brand lamps. 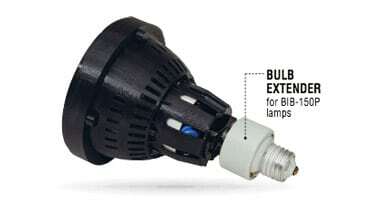 Performance life of VIVID™ bulb is not under warranty when used in lamps made by other manufacturers. 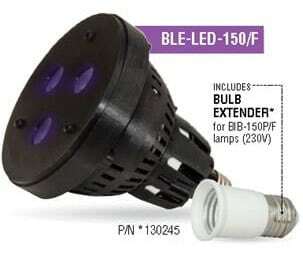 Please also note that the modification procedure for the BIB-150/F lamp, as described in the operator’s manual, also applies to the FC-150/F lamp.